With the move (mostly) completed I’ve been writing again and having a lot of fun doing it. Just completed the first three chapters and a summary for a new book which I’m really excited about. Sent it off to my agent (who’s at Comic-Con this weekend - so jealous) and am just waiting for her response. Using this in-between time to do more research, which will be an ongoing process with this new project. I’m not going to tell you what the book is about because I’m one of those writers who likes to keep the excitement of the story in my head. I find if I talk about it too much it loses some of the energy and then I don’t feel like I have to write it because I’ve already told it so many times. Suffice it to say that it is something very different than the Swim the Fly books. Different but also similar. It’s still going to be a comedy. And it’s still going to be about teenagers. But beyond that, it’s something very different for me. One of my favorite authors, Richard Russo, said that when you write you have to have faith. And I really believe that. You need to have faith that if you put in the time and effort the story, the characters, the pages will come. And it really has worked like that for me. So far. Knock wood. Faith. Saw the the new Spider Man movie and loved it. Read a book called Gone Girl by Gillian Flynn and loved most of it. The ending is a little silly but up until that point I couldn’t put the book down. Now I’m reading Beautiful Ruins by Jess Walter and am thoroughly enjoying that. Oh, also saw Moonrise Kingdom. It was quite good but not in your typical movie-going experience way. My wife said it was like watching someone create a painting. And it really was like that. The film was more mood and atmosphere than actual story telling and deep character. Worthwhile though. I thought. If you’ve read any of my past blogs you know that when I write I tend to put on the pounds as one does when one is sedentary all day long, staring at a computer screen, eating cookies and pastries and drinking tea. I generally have to hit the gym after each book to shed the ten-fifteen pounds I put on while writing the book. But I’m going to try and kick that yo-yoing with this next project. I’ve lost twenty pounds in the last six months or so and plan on keeping it off for good. At least, that’s the goal. Ask me again in a few months how it’s going. 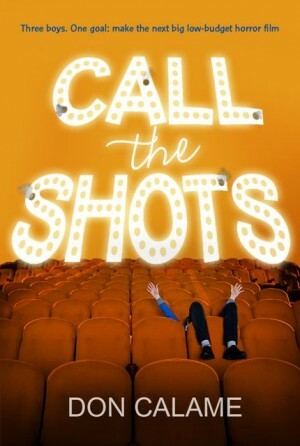 Hey, so Call the Shots is just a couple of months away from being released. Been getting some nice comments on Good Reads so far from those who’ve read advanced copies, which is always happy-making. Hopefully the trend continues. If you want a sneak peak you can read an excerpt here..